There's no happy 26th birthday today for Barry McCarthy as his departure from Durham is confirmed. The Dubliner's contract has run out and although Durham are more than happy with his displays, Ireland's elevation to Full-Member status means that their players are now classified by the ECB as overseas players. McCarthy has played 30 times for Ireland since his debut against Sri Lanka in 2016, taking 59 wickets at 24.46, with his best-bowling performance of 5-49 against Afghanistan in 2017. McCarthy's Durham and Irish team-mate Stuart Poynter is still under contract until 2019, while Tim Murtagh, Paul Stirling and Gary Wilson have all one year remaining as well with their respective counties. The situation with Boyd Rankin at Warwickshire is much less clear, as the Bready man has hardly featured for the Edgbaston side in 2018. 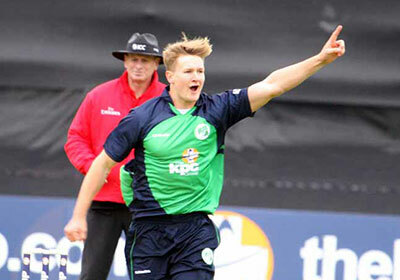 There could well be a return also for Rankin to Irish cricket if he and Warwickshire part their ways.